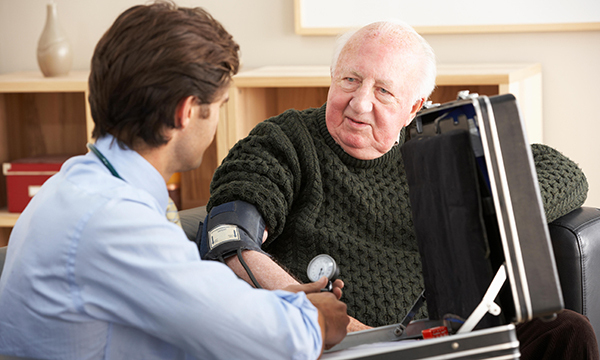 As the ageing population continues to grow, a greater emphasis on joined-up working between GPs and care homes should ensure timely and better care for residents. Improving how GPs and care home staff work together is essential for residents to receive more timely care, according to the Social Care Institute for Excellence (SCIE). Care home residents have up to 50% more emergency admissions and emergency department attendances than the general population over the age of 75. They also have about half the number of elective admissions and outpatient appointments, according to 2015 research from the Nuffield Trust and Health Foundation. A SCIE guide for care home managers says that the health and well-being of older people in care homes depends on them accessing primary care services in a timely way. Joint working between GP and care home management, the involvement of residents and relatives, and the engagement of care staff will lead to quality improvement, the guide states. Nearly half a million adults, mostly older people, live in care homes in England. Many experience long-term, chronic and fluctuating conditions, often including multiple impairments and comorbidities affecting their health, intellectual capacity and psychological well-being. Data collected by the Care Quality Commission and reported by the British Geriatrics Society estimate that more than half of older people in care homes do not have access to all the services and support they require from the NHS. Lack of interest and commitment by some GPs to older people’s healthcare, high workloads and an assumption that residents in care homes are at lower risk than those in their own homes, are among the reasons residents are unable to access the GP services they are entitled to, the SCIE says. Among the recommendations are for care home managers to ensure that residents are registered with a GP of their informed choice. Managers of care homes should ensure residents have appropriate, high-quality GP and primary care services readily available to them, including out of hours. Managers should establish ways of regularly listening to the views and experiences of residents and relatives about their medical care. They should work with GPs on addressing medication issues in order to reduce high levels of prescribing error and have a plan to obtain medication out of hours through liaison with GPs and pharmacies. ‘There is a lot of variation in the level of support that care homes get from GPs. Care home residents generally have complex needs and therefore need complex primary care, with a lot of support around advance care planning, emergency admission avoidance planning and end of life care planning. ‘Care homes in wealthier areas with higher fees can often pay not just for better hotel services, but for better primary care and access to healthcare professionals. Everyone should have access to good healthcare in care homes. Treat each resident as a person with experiences, aspirations and opinions, and do not make assumptions about their capacity based on their age. Care home managers and GPs should agree how to handle relationships, communications and joint working between the home and the practice, so they can deliver what works best for residents. Ensure that accurate, up-to-date and consistent records are kept in care homes on medical conditions, healthcare and medications. Nurse managers in care homes should be aware that staff need the confidence, communication skills and knowledge to initiate and handle relationships with GPs.